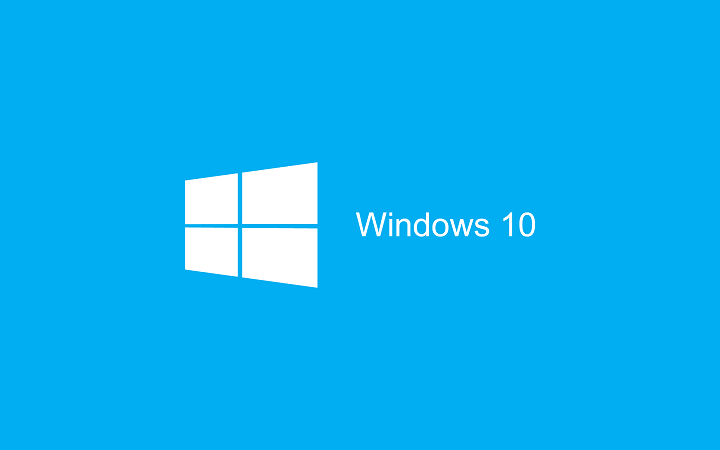 Services are a crucial part of every Windows 10, however, some service related issues can occur from time to time. 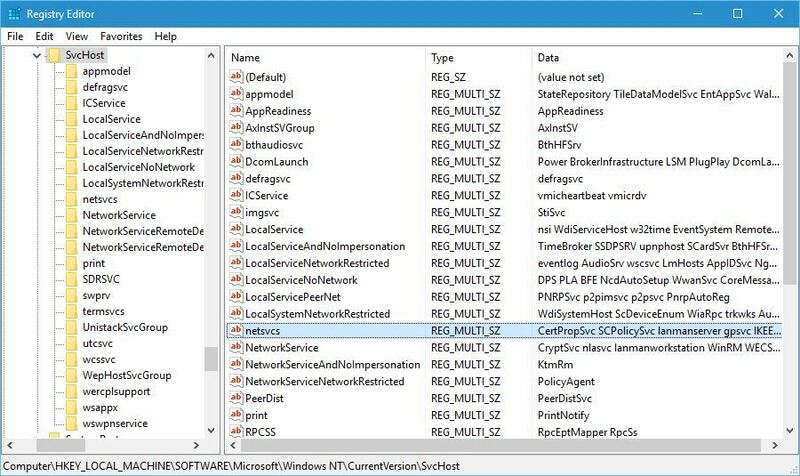 Users reported “Failed to connect to a Windows service” error message on Windows 10, so without further ado, let’s see how to fix this issue. 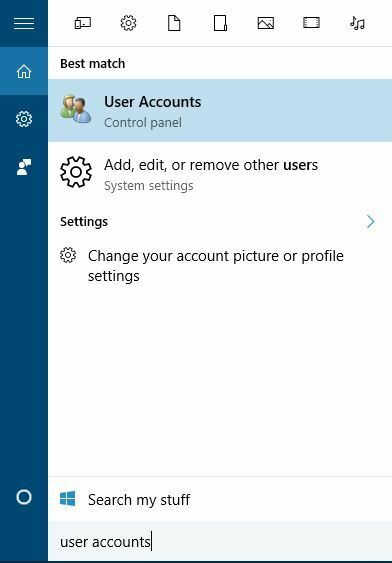 Failed to connect to a Windows service this problem prevents standard users – This issue usually happens if you’re not connected with your Administrative account. 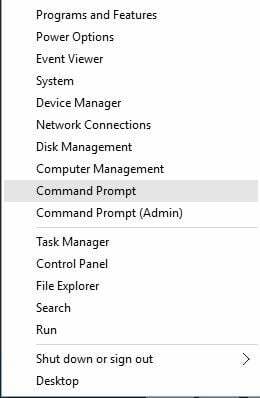 When Command Prompt starts, type netsh and press Enter. Now enter winsock reset and press Enter to run it. Locate ImagePath value and check its data. In our case, Data is svchost.exe -k netsvcs. This means that svchost and netsvcs keys are in charge for this service. Locate netsvcs on the right pane and double click it. Check the Value data field. If gpsvc is missing make sure to add it. 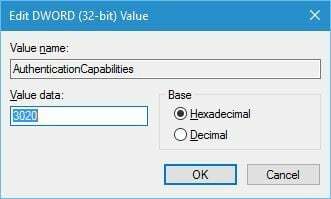 Do not delete anything from Value data list, just add gpsvc if it’s missing. 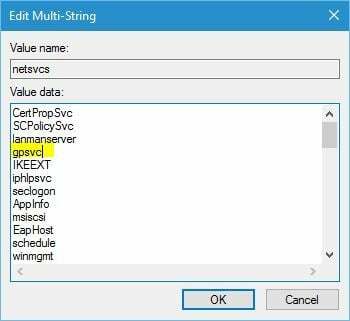 If netsvcs Key is not available under the SvcHost in the left pane, you need to create it manually. To do that, right click on SvcHost and choose New > Key. Enter netsvcs as the name of the newly created key. 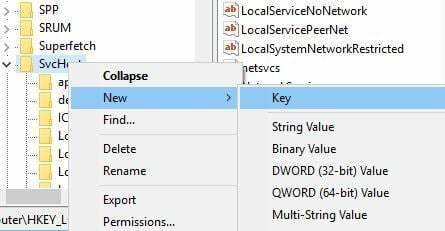 Select the netsvcs key you just created, and in the left pane click on empty space and choose New > DWORD (32-bit) Value. 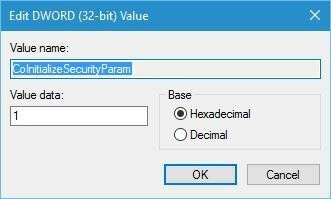 Enter CoInitializeSecurityParam as the new for new DWORD and double click it. 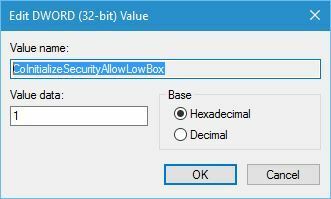 Create a new DWORD value and name it CoInitializeSecurityAllowLowBox. Double click CoInitializeSecurityAllowLowBox DWORD and set its value to 1. Create a new 32-bit DWORD and name it AuthenticationCapabilities. Set its value to 3020 and click OK to save it. Optional: Create CoInitializeSecurityAllowInteractiveUsers DWORD and set its Value to 1. 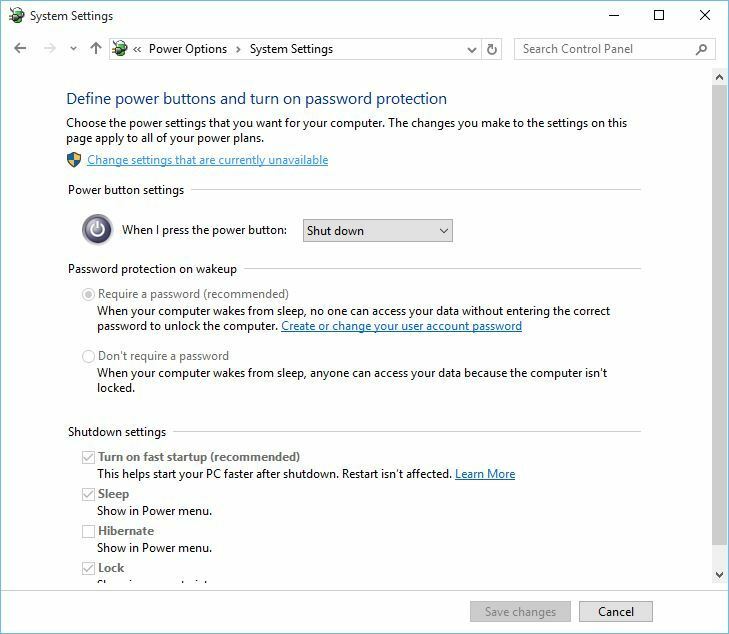 Scroll down to Shutdown settings and uncheck Turn on fast startup (recommended). 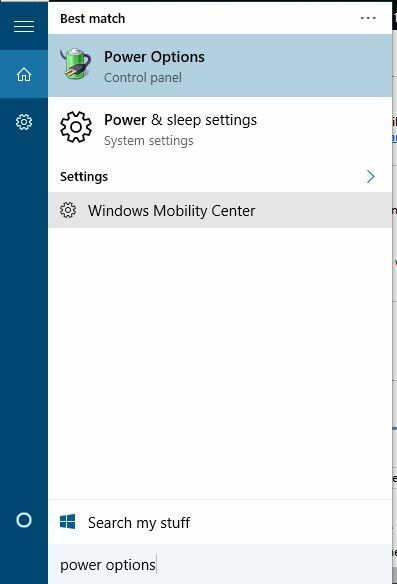 We have to mention that by turning off fast startup your computer might boot a bit slower than before, but all issues with services should be resolved. 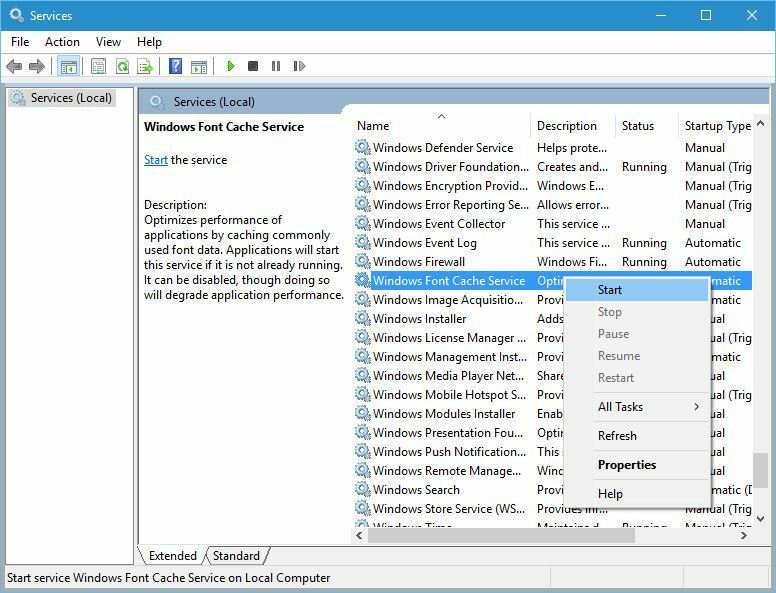 When Services window opens, locate Windows Font Cache Service. Right click it and choose Stop. 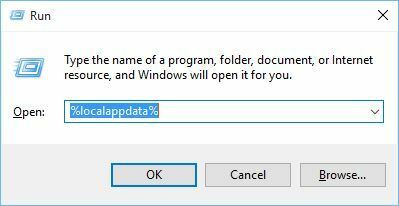 Minimize Services window (you’ll need it for future steps) and press Windows Key + R. Enter %localappdata% and press OK. In the AppData > Local folder locate and delete FontCache dat files. 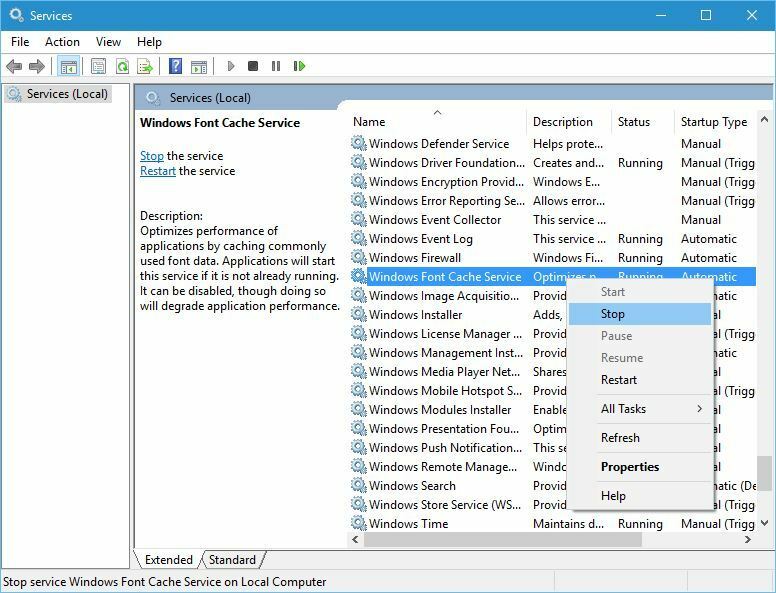 Go back to Services window, right click Windows Font Cache Service and choose Start from the menu. 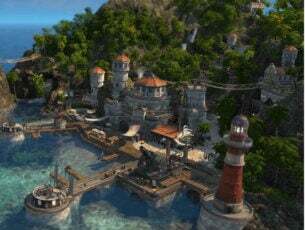 Press Start Button, click Power button, then click Restart while holding Shift key pressed. 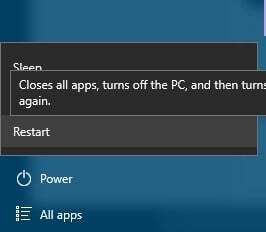 When your computer restarts you should see three options available. Choose Troubleshoot > Advanced Options > Startup Settings. 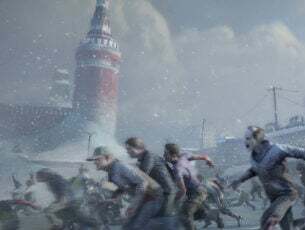 Click Restart. 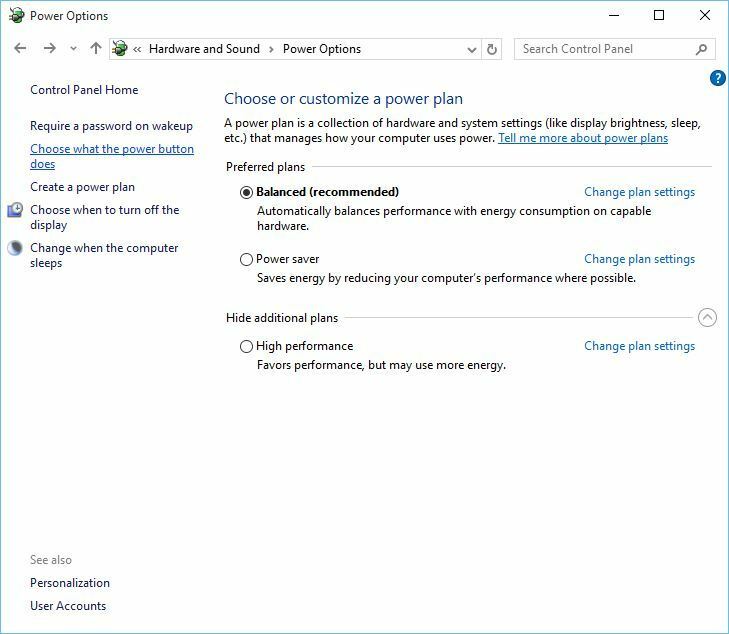 After your computer restarts again, you should see list of options. Press F5 to enter Safe Mode with Networking. After you enter Safe Mode, you can restart your computer and the issue should be resolved. 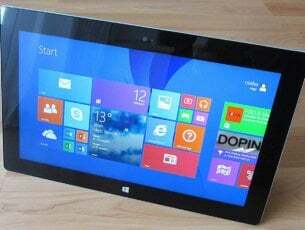 According to users, certain programs such as Soluto and Bing Bar can cause this problem, and if you have any of these programs installed, it’s advised that you remove them. 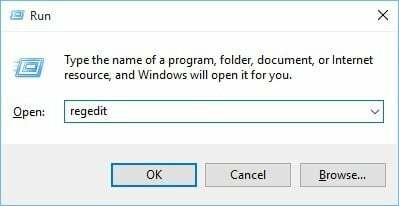 To uninstall certain software just open Settings app and go to Apps & features section, find the program and click the Uninstall button. 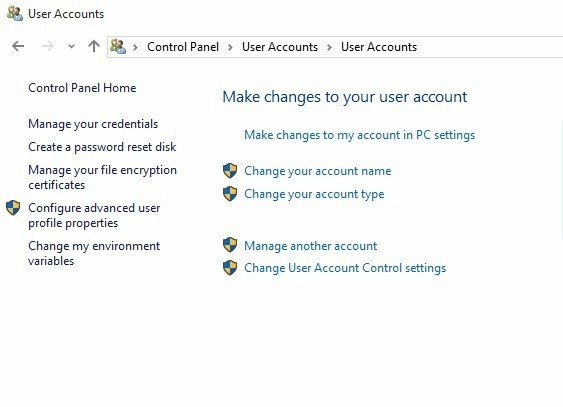 Press Windows Key + S and type User Accounts. Select User Accounts from the list of results. Move the slider on the left all the way down to Never notify. 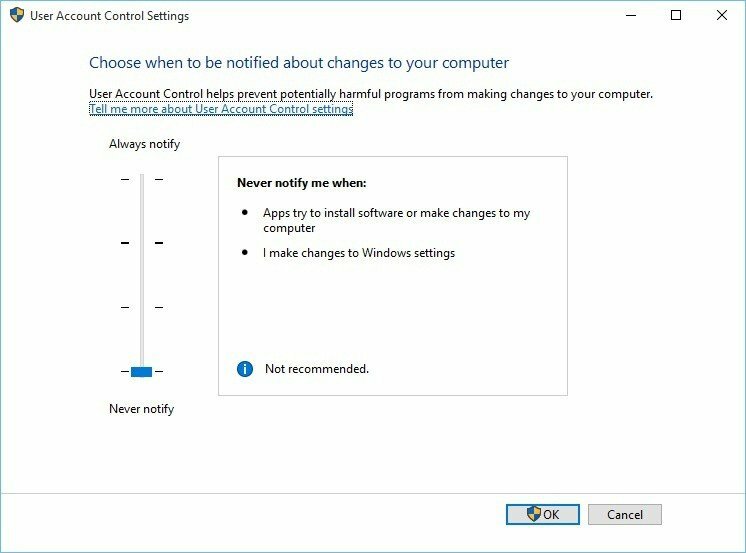 Turning off UAC comes with slight security risk, and by turning it off you won’t get any notifications when you make changes that require administrator privileges. This is a peculiar solution, but few users claim that it works. If you’re getting “Failed to connect to a Windows service” error, you might want to disconnect your headphones before you turn off or restart your computer. 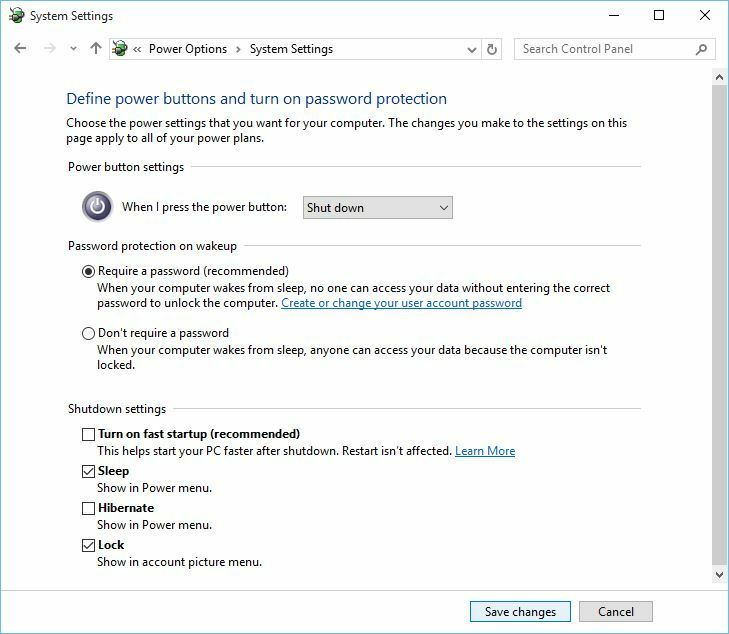 If this workaround works for you, you’ll have to repeat it every time you turn off or restart your PC. 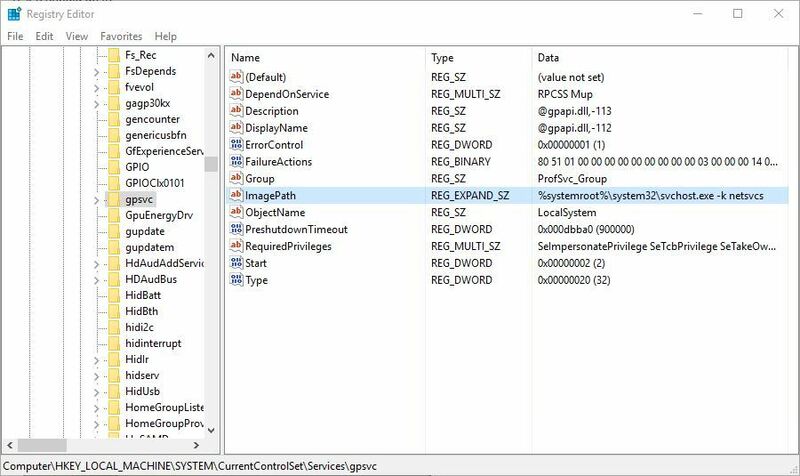 “Failed to connect to a Windows service” message on Windows 10 can be troublesome, and if you have the same problem on your PC, make sure to try some of our solutions.